Prince’s Mead, Harestock Primary, St Bede's and John Keble Primary schools have identified quite a few: from famous women, historical figures, national campaigners, artists and scientists to teachers, grandmothers and even babysitters. Some are women whose achievements may have been overlooked or forgotten but all of them have made a difference or brought about a change at a national or local level. Most importantly all of them are admired by local children. The competition for local schools was run as part of the Vote 100 Centenary celebrations and in preparation for this year's amazing heritage festival. 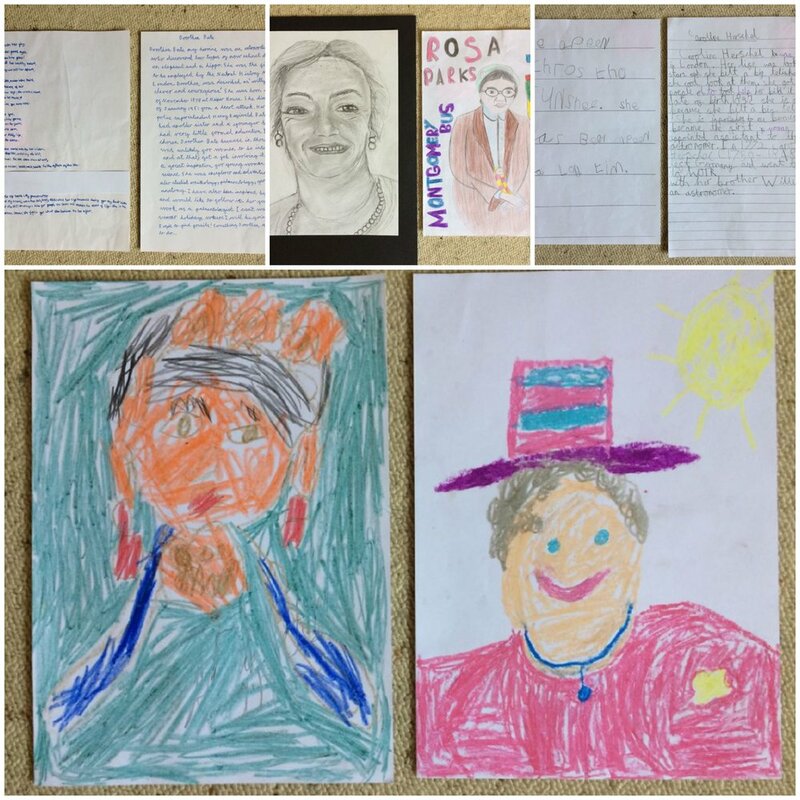 Young artists and wordsmiths were invited to commemorate their local and national heroines by producing original works of art, stories and poems. The judges were delighted by the quality of the entries, it was not easy choosing the winners. The four winners have though been chosen, and are being notified via their schools today, and their prizes (book and art tokens) will be making their way to them over the summer. All of the works by these incredibly talented artists and writers will be exhibited at a public exhibition in the Great Hall on 8th-9th & 13th-16th September as part of the Winchester Heritage Open Days festival. Newer PostWinchester's favourite heritage festival is back! Older PostHave you seen Sir Walter Ralegh?